QUESTION: If my fiance and I are vegetarians. Do we have to serve non-vegetarian options to our guests at the reception? 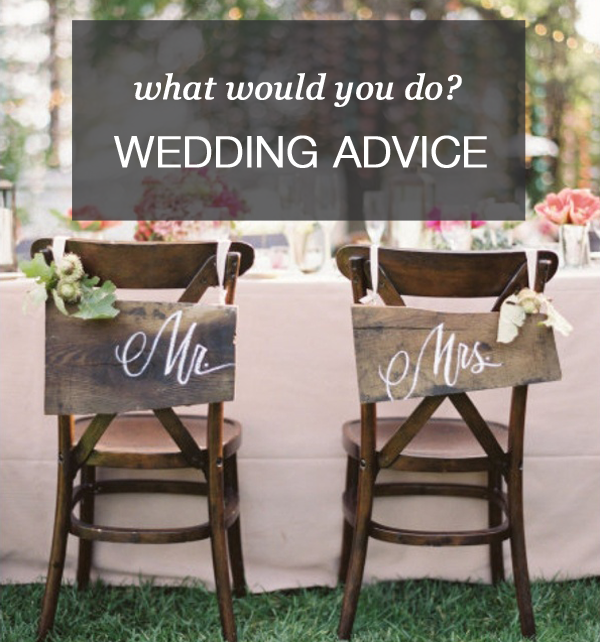 Kaella's Answer: When this question first came to me, my initial response was “it’s your wedding, do what you want.” But, the more I thought about it, I realized there are some items to consider before you make this decision. As the host of an event, dinner party, etc., you want your guests to feel comfortable and welcome, right? How does it feel to be invited to someone’s home only to find out they didn’t provide any vegetarian options for you? Not very welcoming, I would assume. Do you want the guests at your wedding to feel the same? When I think of this perspective, I lean towards providing one non-vegetarian meal for your guests to select if desired. However, I believe you should do what you feel most comfortable with. If that means serving all vegetarian food to your guests, then go for it. Just make sure you select an excellent caterer who knows how to cook hearty vegetarian dishes, so your Carnivorous guests will not miss a beat (or their meat). Also, be sure to ask your guests if they have any dietary needs, i.e. food allergies, so those can be accommodated in the form of a vegetarian dish as well.